Freelance Marketing Consultant and Entrepreneur specializing in WordPress, SEO and Social Media Marketing. I love building beautiful websites that generate great leads. I’m also recently working in the gaming industry and have a development team available for mobile gaming, Virtual Reality and Augmented Reality projects. MadTown SEO is my WordPress and SEO business. My ideal projects are full rebuilds of small to medium sized websites that need to look great while also having high discoverability on the search engines. I also provide private and group training for teams that need more advanced marketing guidance. Grow Madison is a nonprofit I started to help educate local small businesses, entrepreneurs, nonprofits and freelancers how to best us WordPress, SEO, Social Media, and Analytics to grow their business. Our featured event is the WordPress Bootcamp, a 6 hour intensive workshop on how to use the most popular CMS in the world. Local Route Labs is a small indie game development company with experience in Unity, Unreal, C++, UX/UI design, Virtual Reality, and Augmented Reality. Having signed on as founding partner, my role is to promote Disc Golf Unchained and to help find new contract for hire projects. Moov is a passion project turned startup that I’ve been working on for a couple years here in Madison. We’ve built a map based platform for locals to find new opportunities to engage in the community based on their interests and their skills. Let's schedule a quick phone call! Thanks to a very lucky introduction, I’m currently serving on the board of directors for the newly formed Wisconsin Games Alliance, a group of nearly 100 gaming studios and service providers throughout the state. We host an annual professional game development conference called M+Dev and support and host a wide range of events around state to help grow the industry. I’m excited to be moving into Madison’s most exciting startup space. Starting Block is located on the near east side just a short walk from the Capital and will be home to dozens of startups, and supporting organizations. 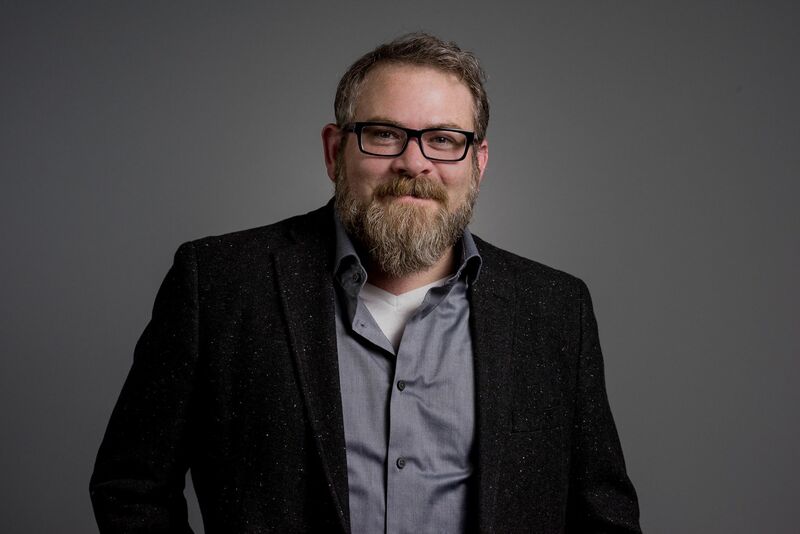 I’m lucky enough to be working with the executive team on their new website and look forward to taking a few of my own projects to the next level. As a very early member of 100state, I’m proud to have helped the organization grow throughout the years. From designing the first 100state beer (Startup Sauce), to revamping the website, to serving on the members committee, to hosting dozens and dozens of events, It’s nice to know I’ll always have a home here. 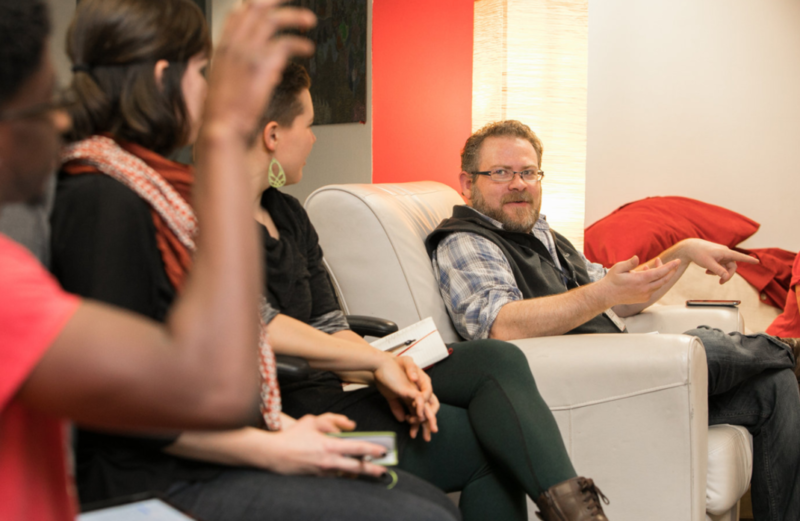 A few years ago I volunteered with the Freelancers Union to organize a local meetup for freelancers here in Madison, WI. Dozens of monthly meetups later, we’re now approaching 500 members! I joke that I started the meetup because I wanted work friends (which was true), but it’s turned into so much more than that. It’s networking, its consulting, it’s sharing, it’s church, it’s therapy, and it’s starting to feel like family. Based on results, and based on the huge numbers of people starting to freelance, we’ve developed a lot more credibility in professional circles. Unfortunately credibility doesn’t help solve the problem of the total lack of a social safety net for independent workers. Starting this year we’re doing more advocacy work around issues important to the new economy like non-payment, rural broadband access, portable benefits and smart contracts. 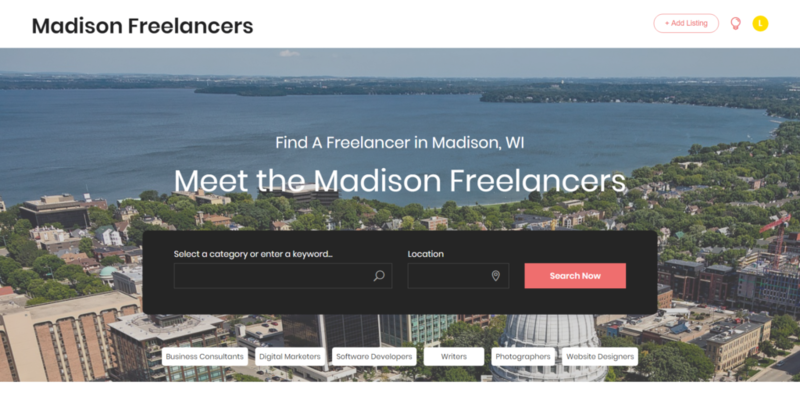 We meet on the first Wednesday of the month from 6-8pm…please share our public Madison Freelancers Facebook page with your freelancing friends.